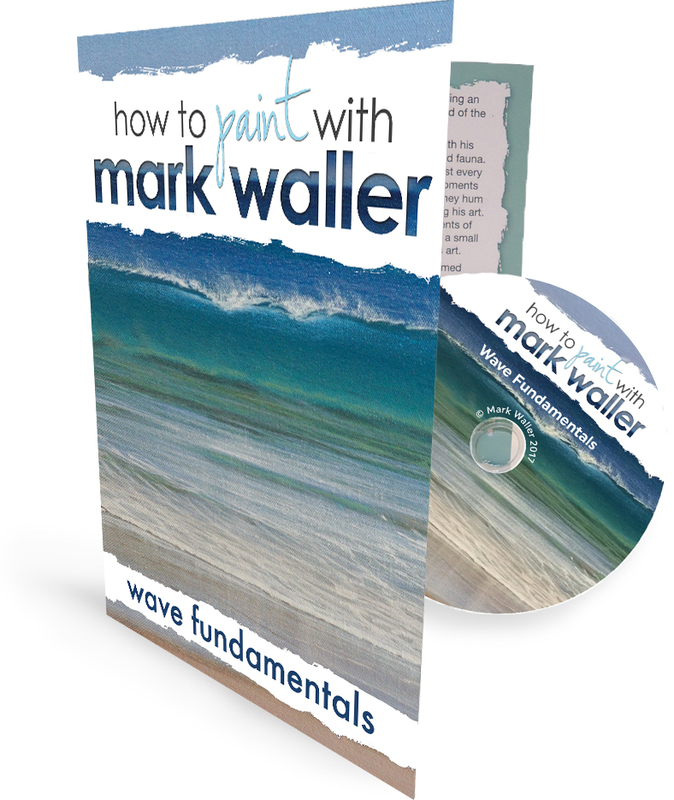 Mark’s “Wave Fundamentals” DVD tutorial builds on his DVDs “Water Fundamentals”, and “Water - Foam and Whitewash”, giving you the basics of wave anatomy and behaviour, and a step by step guide on how to create waves in two circumstances to bring depth and zest to your paintings. Learn the anatomy and behaviour of waves with simple diagrams and explanations. Real world examples to illustrate the processes. Simple colour mixes and recipes to accelerate your learning. A simple process to understand how to create waves in different circumstances. Following on with the basic science of water - reflections, refracted light and the behaviour of water. Gain a deeper understanding of how to create realism in your waves using reflections. Create the illusion of perspective, volume and depth in water. How to add the details you need to bring life & movement to your paintings. Expand your knowledge of painting water. Develop a deeper understanding of waves. Attack your beachscapes with more confidence. Translate these concepts to create your own amazing beach paintings from this day forward. Click here for our downloadable and streamable version of this DVD. Note cost below does not include postage (Flat rate $15 overseas untracked letter, and $10 Australian Registered Mail). Please note any international customs duties or taxes applicable and payable before release of goods are the sole responsibility of the purchaser. These fees and charges are entirely out of our control and differs according to country and region. This is the main reason why we also offer our DVDs as downloadable and streamable products. Please note some countries (particularly the US and the UK) delivery can take up to 5 weeks.